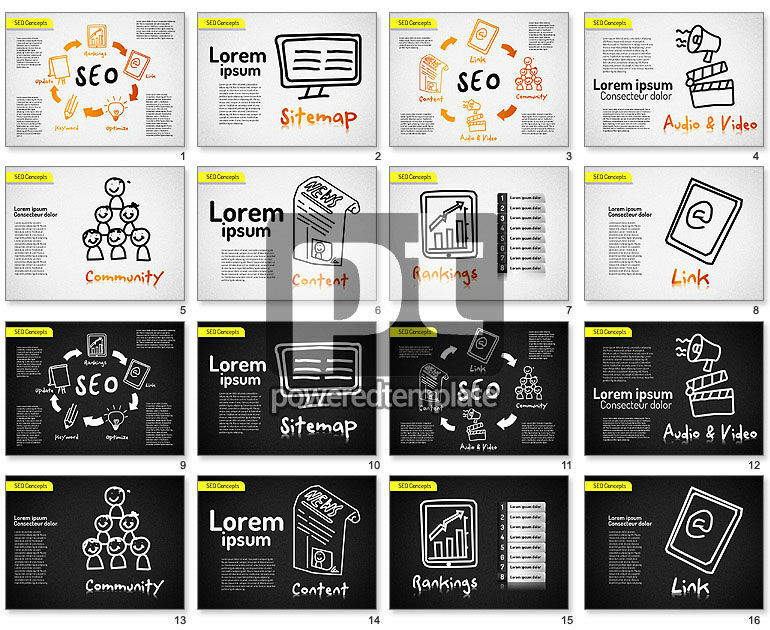 These presentation slides 41501 are complete compatible with Google Slides. Simple download PPTX and open the template in Google Slides. Meet this nice hand drawn template, dedicated to web development, software, SEO, programming, network and so on. This is the right choice if you have to make a presentation related to modern technologies in this sphere or innovations you want to use in your business. This terrific modern theme will be perfect in business sphere, media and so forth. And your audience surely will enjoy its style.